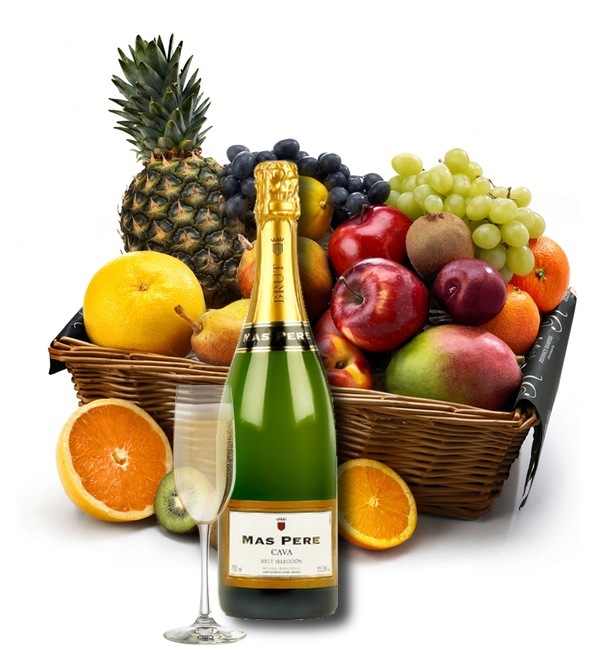 A wicker basket filled with an exquisite selection of fresh fruits (5 to 6 kg) and a bottle (75cl) of Spanish cava. The basket is wrapped in transparent cellophane and is decorated with a fitting bow for the occasion. A wishcard with your own personal message makes the gift complete. We deliver this gift in the Benelux countries, France, United Kingdom, Germany, Austria, Denmark, Poland, Italy, Slovakia, Czech Republic and Hungary.